Be a Trader in FOREX. Have you ever wondered what your car would look like, in about 5-10 years from now,the picture above shows a Bugatti Veyron, but one that could exist in 2020. Some say that in 20 years car will no longer exist and we’ll all being flying about in spaceship-car-hovering-mobiles that don’t need wheels, bu this all seems a bit far fetched, it may happen some day but not in the next 50 years or so. For now lets just stick with cars that have doors that you open diagonally and ones that can sense when your about to crash and brake for you, or even cars that could drive for you. This car-can-drive theory has been tested before and sort of worked, but if everybody was driving about in them then everybody would crash into each other and you’d all be unable to enjoy the pleasure of driving itself. 10 years ago no one expected car to have key less entry and expected so many cars to have cruise control. 25 years ago robots that built cars was considered a fairy tale, but look now and robots build nearly every bit of the cars sold today. But now technology of building car is going on, so is design of them. Below shows what the Nissan GT-R could look like in 2016. So if the 911 looks like that, what will say Ferrari’s, Lamborghini’s and Mclaren’s look like. . .
800-850 Bhp, and will have a price tag of approximately $700,000. They are aiming for this to beat the almighty Veyron, but they may also have someone else to try and beat. . . While Ferrari are being more discrete about they’re new car. Spy shots and drawings have been shown and is confirmed for production, but by naming it the F70 or Enzo 2. Meaning it HAS to be better than the original Enzo, or Enzo Ferrari himself will be turning in his grave. there are no specs yet or even any real pictures, but is likely to rival the P12 with a amazing figure of around 890-930 Bhp! Meaning at this point, the Veyron should be scared. But lets turn now too to Lotus’ ambitions and a whole new range expected by 2015. . . These rather brilliant looking cars are all rather expectant of Lotus but would you expect this from them. 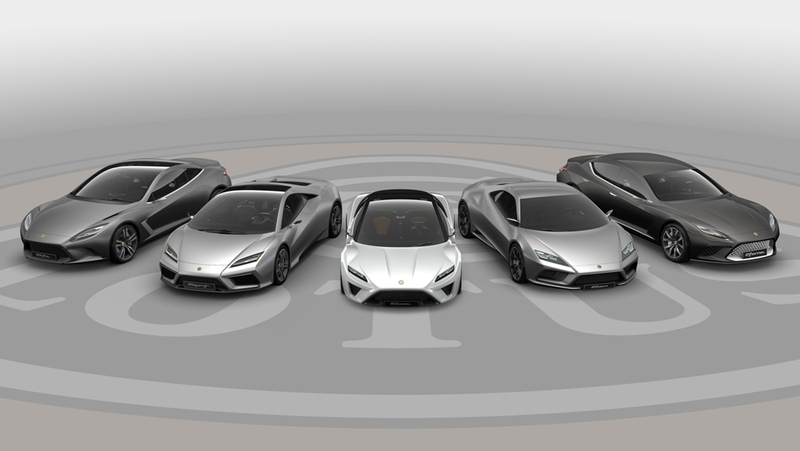 . .
Lotus have spent all this time design this new range but have decided to actually name this the city car, and have named all of the other cars (excluding the Eterne) after previous cars they’d made. Still the result of they’re work is amazing. The cars above show the future of Sports cars in concepts and cars that will be built, these cars are the cars that in 15 years you will see as a rarity and will dream of owning one. These range extenders certainly are futuristic, but the question still remains, after this, what will the future of motoring be?